Emily Coltman FCA, Chief Accountant with online accounting software provider FreeAgent and author of Micro Multinationals: a guide to international finance for small businesses, explains what you need to consider when taking and making foreign currency payments. As Declan Curry of the BBC’s On The Money put it, “consider, crucially, how you get paid.” When you’re trading internationally, you need to think about whether you will take payment from your customers in different currencies – and whether you’ll have to pay your suppliers in a currency other than sterling. Should I have multi-currency bank accounts? Some businesses that make a lot of overseas sales will set up a bank account in a foreign currency so that they can easily send and receive cash in that currency. This can be costly, though, and it can be hard to transfer money between your bank accounts if one is in sterling and the other is in a different currency. Also, bear in mind that many accounting packages cannot cope with bank accounts in multiple currencies and you may find yourself having to manually translate every entry into sterling. Some accounting packages, such as Sage 50, do offer multi-currency banking but only on their top-of-the-range product, so you could find yourself paying over the odds for a package with a lot of other features you don’t need and struggling to learn how to use it. One business I knew had a bookkeeper called Linda, who was quite happy using a simple bookkeeping system, but very confused by the complexities of Sage 50’s top-of-the-range package. However, seeing as her employer had set up a bank account in US dollars, she had no choice but to learn to use that package because most of the simpler packages don’t handle multi-currency banking. There are other systems, such as PayPal, which allow you to accept payment in multiple currencies without having to set up a new bank account. PayPal can then translate all your money into sterling as you receive it, no matter what foreign currency your customers actually paid you in. They do charge a fee for this service (see below). Some banks will also collect cheques from international customers for you. If you’re taking payment by cheque or bank transfer from customers overseas, it can take longer and cost more for the money to arrive in your account than from your UK customers, so do plan your cash flow carefully. It could also be more difficult to chase customers who pay slowly or not at all, because it may not be practical for you to go and visit them yourself to collect the payment. And if you don’t have a good command of local language and law then it could be hard to send debt collection agencies or solicitors to visit. Read this article on different payment methods for more information. PayPal’s fee structure is transaction-by-transaction. If you look at a PayPal statement you’ll see that several of the transactions have a fee deducted. For example, in the case of a sale of £5.85, PayPal deduct a fee of 40p so the supplier receives £5.45. PayPal doesn’t charge a fee for payments you make so you pay a fee per sale but not for purchases. The supplier would need to include income of £5.85 in their accounts and put the 40p into bank charges as a cost. If you’re selling goods and services overseas, you may well also be buying goods and services from abroad. How will you pay for this? 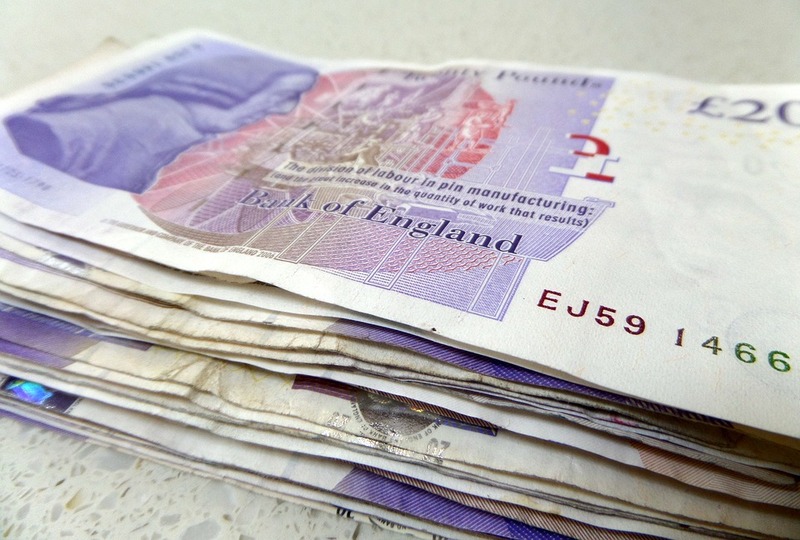 Your supplier might insist on being paid by a bank transfer. If this is the case, don’t forget that it could take longer and cost more for money to reach a foreign supplier if they want to be paid this way, especially if you have only a British bank account. For example, Barclays charge a minimum of £25 for a payment in a foreign currency from a sterling account. You also need to agree with your supplier who is going to pay which bank charges, as there will usually be a charge levied by the sending bank and one by the receiving bank. Otherwise you could end up having to pay them all! If you don’t have a bank account in a foreign currency, then you can find yourself ringing up your bank every time you want to pay a supplier whose bills are not in sterling, as internet banking isn’t always possible for these transactions. The banks are updating their systems to allow online payments in foreign currencies, so ask if your bank either already features this or plans to. In the meantime, it may be easiest to pay overseas suppliers from your PayPal account because then you can make payments without having to take time to phone your bank. Just make sure your supplier will accept PayPal payments. Not all suppliers and not all countries – do. This article on selling through international online markets gives further information about using e-commerce for export, and you might also find this webinar on how to get paid on time and in full useful. This article is a modified extract from Emily’s book Micro Multinationals: a guide to international finance for small businesses.